The NHL has some of the best uniforms in sports. From the originality of the Original Six, to some great modern jerseys, the NHL has some of the best looks in sports. 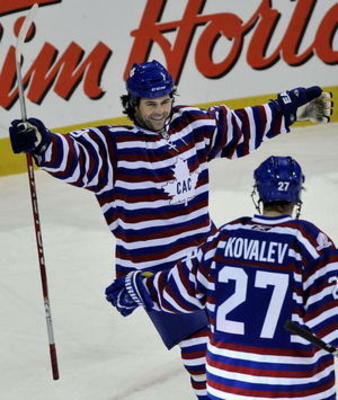 However, like with all great fashions, in order to get the great jerseys in hockey, there have to be numerous failures. Whether it’s trying something new with designs or colors, or modifying the logo, some jerseys should have been just left on the drawing board. Being a hockey fan, I’ve seen my fair share of bad jerseys throughout the years. Here is my list, but there are certain rules to this list. First, it will only be NHL teams, I could do a whole list on minor league hockey uniforms. Second, only one entry per franchise. While there have been many teams that have had their fair share of jersey disasters, I’m talking to you New York Islanders, I wanted to get a wider range of teams instead of focusing on a few teams at a time. 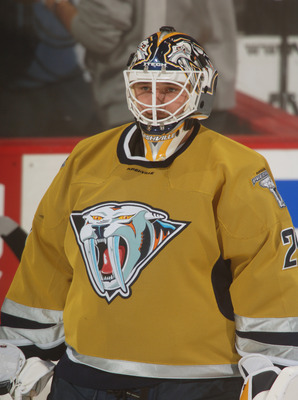 When did the Predators get sponsored by French’s mustard? Talk about your condiment calamity! Dijon mustard may work on hotdogs and burgers, but not hockey jerseys. Aside from the tasteless color, the logos also are an eyesore. The “skull” Predators logo on the sleeves could be an ok logo if used properly, but doesn’t go with this jersey. It’s because you have a gaudy multicolored predator that belongs in the Ice Age movies on the front. Modern logo with skulls on the shoulders? Doesn’t exactly connect. This sweater was doomed with weak and confusing logos along with a color that just gives me craving a hotdog. Excuse me one second I gotta go to the grill! Would you like a little off the top or a quick shave? Thanks, I just needed a hotdog. Oh look, I didn’t know the barbershop quartet was on TV tonight! What that’s not a barbershop quarter it’s the Canadiens? Oh boy. Look, I understand some team’s want to wear throwbacks to get in touch with their roots, but sometimes certain uniforms should be left in the past. Montreal you have an original six logo and jersey, you are set for life. You don’t need to modify anything. These uniforms are disaster. Weak white leaf logo and a headache inducing design with the horizontal red, white, and blue strips. This is a color overload that is not easy to look at and once you get over the novelty of the throwback for five minutes you’ll be saying, “ok bring out the actual Canadiens jerseys please”! Of all the jerseys on this list these are my favorites. 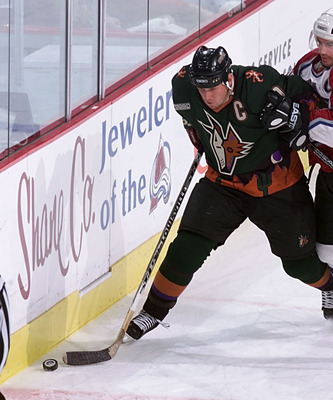 I can appreciate what the Coyotes tried to do with a dark green jersey with the desert trim on the bottom. I also like the original Coyotes logo better than the new logo they have now. Still, this wasn’t a great jersey. Even though I liked them, I can see why people don’t. These are not traditional jerseys with bizarre colors. The green and burnt orange aren’t exactly the Coyotes main colors and the desert look on the jersey with the cacti makes the jersey look too much like a cartoon. Plus there are salamanders on the shoulders, weird numbers, and a moon on one side of the jersey. Even though they broke the mold and gave it a good try, the Coyotes still made a jersey that was to Will-E, and not enough Coyote. Thank god the Jets are back. On that note one franchise that never could seem to get its jerseys in order was the Atlanta Thrashers. If I didn’t limit the list to one team, the Thrashers would have multiple entries. Anyways, the Thrashers failed because they have too many colors, weird designs, and multiple logos. Talk about an identity crisis. With that I give you the epitome of all of this in a jersey. This jersey represents all of the different factors which made Thrasher’s jerseys hard to stomach. First the had weird designs. Here the socks with the vertical patterns and stripes look ridiculous. Then the white on the upper arms with the goofy large number in the center if the jersey just looked stupid. 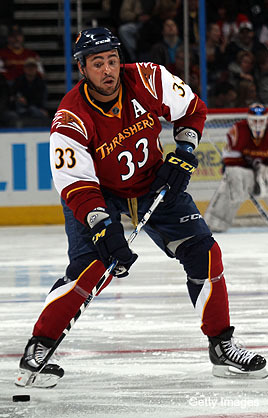 With the “Thrashers” script across the chest, these jerseys looked more like basketball jerseys then hockey jerseys. Then you have a barrage of different colors on the jersey with makes you wonder what are the team colors and finally the terrible woody woodpecker logo on the shoulders. Wow Thrashers, talk about setting low standards for expansion teams and their jerseys. Wow, Boston wow. You have one of the best logos in sports and this is the best you can come up with? A honey yellow jersey with black fur trim? 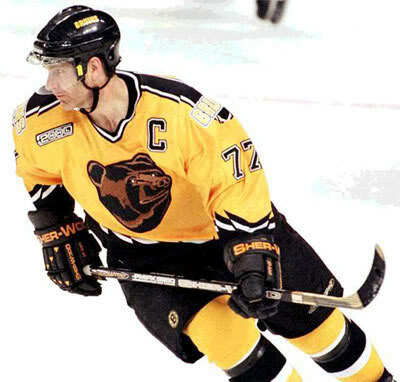 Then you have Bruins in script on the shoulders? You couldn’t put spoked B’s on the shoulders? To top it off the Build a Bear mascot on the chest of the jersey. Nothing strikes fear into opponents like a dead eyed teddy bear on a jersey. Note to the Original Six, you have great uniforms, don’t change anything! Now its really getting bad. The only saving grace for this jersey is that Wayne Gretzky actually wore it. Still a Burger King mascot is brutal. 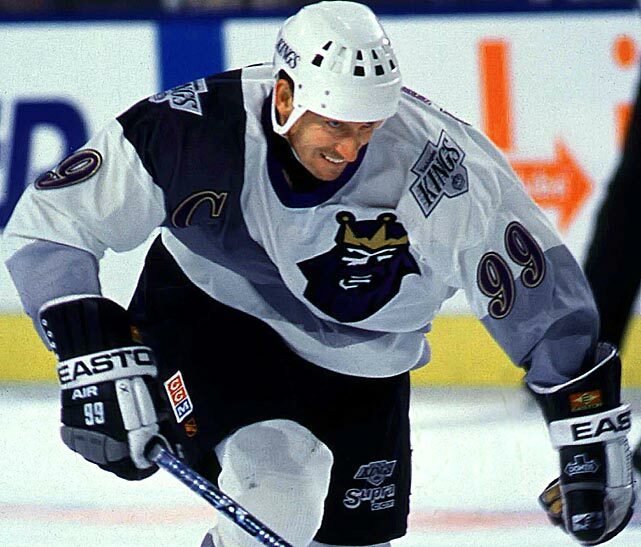 If the Kings were smart they should have partnered with Burger King with this jersey. Then you have the logo in the upper right of the jersey, not centered, with a giant purple stripe crisscrossing the front of the jersey. Wait I thought the Kings were supposed to be black and silver? Purple too, ok I guess. I mean this just likes awful. The jersey itself looks like its been washed with the purple and grey socks, yikes. Overall when it looks like the graphic studio threw up all it’s ideas onto one jersey, this is what you pretty much get. When you’re an expansion team, it’s tough. So I do tend to give expansion teams a pass on their first go of uniforms, I’m talking about you Columbus. 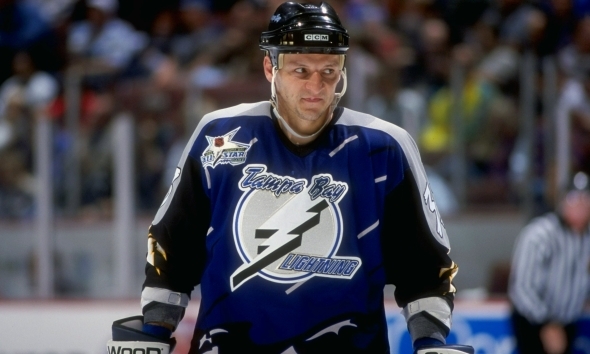 However, the Tampa Bay Lightning jerseys are a natural disaster. Did a hurricane wash away the actual jerseys and they had to make these at the last-minute? It’s all the extra add ons that kill this jersey. Had it just been the logo with the plain silver and black sleeves the jerseys would be ok. But how do you have rain, lightning, and rough waves on this jersey? Come on this isn’t a painting of a lightning storm, it’s a hockey jersey! You know how they say “less is more”? Apparently the Lightning ignored this philosophy and decided let’s put everything on this jersey, except something good. Wow, Disney really wanted to advertise their Mighty Ducks cartoon didn’t they? 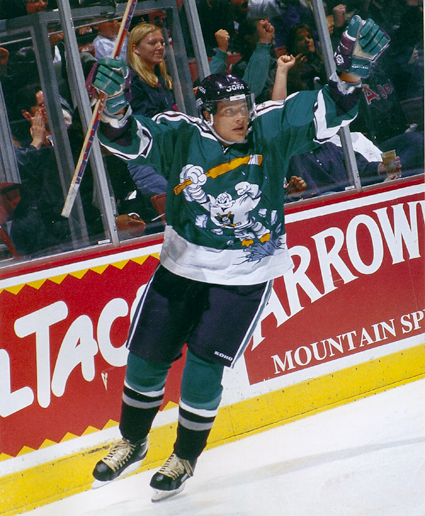 While the Mighty Ducks original jerseys are one of my favorites, I can’t believe someone thought this was a good idea. Come on this team’s already based off of a movie and was owned by a company known for cartoons, did we really need a jersey that should be on the clearance rack at a Disneyland Park? Apparently the answer was yes. True the overall designs on the jersey aren’t terrible, but the logo kills it. Seriously? Wild Wing jumping through the ice? Come on Disney. You already have many people questioning a team called the “Mighty Ducks”, did you really need another reason for hockey fans to laugh at you? Thank god this jersey didn’t last long. Looks like these Ducks of a jersey were roasted. In one of the biggest marketing disasters in sports history, the New York Islanders decided to change their historic and iconic logo. The new ownership, “The Gang of Four”, decided that the team needed a modern-day update. Not only did they seemingly piss off every Islanders fan in the process, but also plunge the franchise further into darkness. The Fisherman logo, which replace the iconic NY Island logo, was a disaster from the beginning. It looked terrible, angered the fan base, and created the “we want fish sticks” chants at Rangers’ games. Another jersey with a terrible logo, and a wave design on the bottom that just looks ridiculous. Plus the additions to grey and teal to the colors. Teal should never be used on an NHL jersey ever! The jerseys were so bad, the Islanders changed the logo one year later. 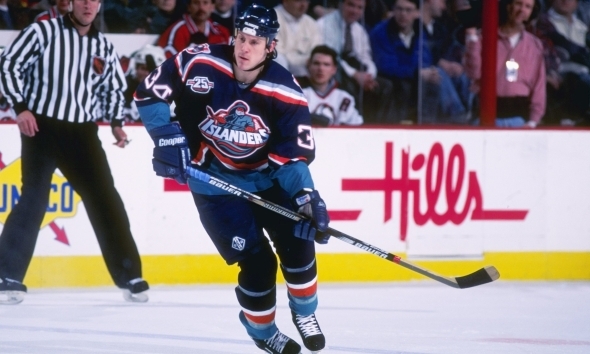 These jerseys were horrible and almost were the worst of the worst except for…. 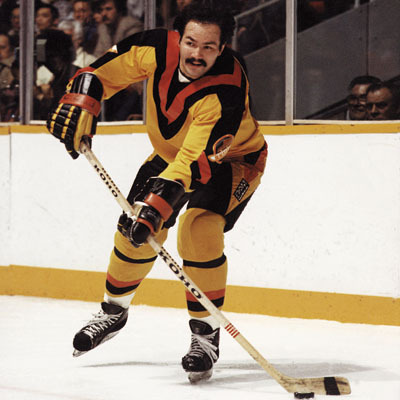 The Vancouver Canucks for a long period of time had the worst jerseys in hockey. While most teams changed their bad designs quickly, the Canucks stayed with these jerseys for years. While the skate logo wasn’t terrible, the colors of yellow, black, and orange made these look like the horrible offspring of a Halloween costume and a construction vest. The the massive V design from the neck to the middle of the sweater looked ridiculous, and they put the logo on the middle of arm. There’s no logo or script on this jersey just the V design. So Canucks fans riot over being in the Stanley Cup but not over this ridiculous uniforms that made their team a laughing-stock? Wow. Do you agree or disagree? Any jerseys that I missed or suggestions you have? Don’t forget to comment and follow below! Eugh! Although I disagree with the comment about teal (it looked pretty good on the old Anaheim Ducks jerseys), I’m a hard-set Nuck and that Canucks Jersey actually made me cringe. I can’t believe you didn’t mention the atrocities that are the gloves in that uniform…glad we’ve got a good jersey now.